Just think of it as another interview/talk. No pressure. I hope you enjoy his book. Be sure to join the chat in September. Just chat away when the interview comes to play. If you get stuck, rhyme, always works lol at least for the cat. But we're nuts anyway. I am. I'm a little regretting agreeing to do both of these things this month. Oh well. Fantastic logo!! You'll be missed as an IWSG admin, but I'm glad to see you'll be continuing forward with the book club. We're back in the States now with decent internet, so I'm hoping I can join in on the Aug/Sept discussion. Congrats on your contract. I'm reading the James Bell marketing book now. Looking forward to your interview. Congrats!! It feels so good to get a contract. I'm going to have to read up on James Bell. I didn't know he had a marketing book! I've read his Writing from the Middle book. Excellent. Congratulations for signing the contract for Flaming Crimes. Will miss you. But we understand that sometimes we have to cut down on some activities. Awesome on the contract! Glad you're staying on with the Goodreads club. Someone commented today that they just signed up for it. Yeah, where else can I go to promote my books online? And thanks for the questions. That's something I'm sure a lot of people would like to know. Congrats on getting the contract! The YouTube videos are scary. I've done 2 and both times they made me nervous. I'm not a fan of pictures in general and really don't like public speaking. Good luck with all that you have planned in August. I slowly got a little more confident doing the YouTube Videos. I did two a day for 5 days. By the time I was halfway through, I was able to do the videos without pausing due to a mistake. It takes practice. Your logo is fan-TAB-u-lous!!! Heck, you've kinda got your own "brand" now, girl. That's sooo cool. Congrats on the new contract. I haven't started reading the next book club selection yet, but it's next in line. Sorry I didn't participate with "The Secret Garden." That was one of my favorite books when I was young, and I read it out loud to all of my kids when they were growing up... they loved it, too... but I didn't have time to read it again. I'm glad so many others enjoyed it. Oh my gosh! SO much exciting stuff happening. Congrats :) Good for you for doing all the video live stuff. I get SO nervous about it too. Maybe I should be brave and do more. Go you!! I love your new logo, Chrys! I definitely need that marketing book. It's so hard to marketing without feeling like your spamming everyone. Thanks for all you do for us, Chrys! Marketing is tricky. 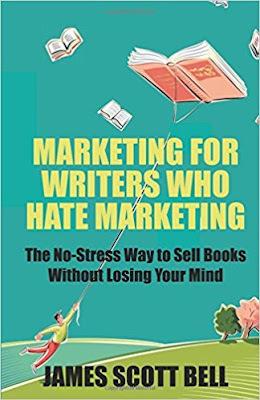 His books sounds like a great one for those who struggle with the idea of marketing. Congrats on the contract and thanks for all you've done as admin of the group. Have fun with the video interview! I'll check out the videos!! You are one busy lady. Miss you in critique but totally get why you can't do that anymore. Or will you come back? Unfortunately, it's hard for me to critique now that I do freelance editing and edit for Dancing Lemur Press. Congratulations on signing the contract, that's awesome and I love that logo, very eye catching. Lots of new things coming your way by the sounds of it. Wishing you all the best with the interview too. So happy for you for signing a new contract! YAY is right! From what I've seen, you are a lady who goes for what she wants and I know you'll do brilliantly with the interview. Practice does make perfect, and you are already posting videos in front of the camera. Thank you, Michael! I am doing my best. :) I'm taking baby steps, hoping I'll be ready for the bigger things I have planned. All kinds of great things to congratulate you on. I look forward to hearing more and that interview. Adventures and excitement abound! I'll be thinking of my questions, then ask them in a rapid fire manner until you block me forever. Gosh, that's a good plan. Please, send me whatever questions you have. I've only received one so far and thought I'd have more. Congratulations, and good luck with everything! I'm curious to know what your own particular approach is to considering and making changes suggested by your editor and critique partners. Some writers think they have to make every single change suggested, which leads to "writing by committee," while others take time to think about all the comments and then make the changes they feel are most merited. Other writers have still other styles. Where would you say you fall? Congratulations and good luck Chrys. That marketing book has the best title. I definitely need a copy. Good luck with your upcoming interview. I'll be looking forward to it! Isn't it a great title. It's sure to grab many writers' attentions. Wow, lots going on. Good luck with all of it. Congrats, you are inspiring. Will miss seeing you in the newsletter, but we love Christine too. Wishing you much success. Hugs. Yay for new contracts. Congratulations. I've watched a couple of your videos and think you did a great job. Thanks for all you do. You are amazing. Really good logo, Chrys. It connects everything. Bravo on the contract! I'm sure you will indeed be missed in your admin position here at IWSG; however, I'm just as sure Christine will be able to step in and keep things going well. One big question I have at the moment is: why should I pay for a website if I don't have any books to sell? I'm having trouble getting followers to my blogs; how would I ever get followers for a website? Plus, writing new content takes me so much time already. I need to be writing short stories or working on my memoir about attending college as a mother of five. 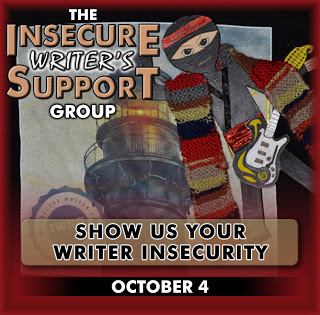 Thanks for all you do, Chrys, to assist your fellow writers. Bravo again for all you've accomplished. That's a good question. A lot of other writers have wondered the same. Great logo, Chrys. Congrats on your new contract and good luck with your new endeavors. I look forward to your YouTube interview. Wow, Chrys--you're so busy! Congrats on the contract! Good luck with your interview and your author tube. I'll watch your videos when I get a chance. I hope you enjoy my videos. :) Thanks, Michelle! As so many others said, I hate to see you go, Sis. Congrats on the contract. Thank you, again and again, for all you do. You're aces. Chrys, you've done a phenomenal job with the newsletter, and way to go with YouTube! I love that you're challenging yourself and getting out there in new ways. See, that's what all of us should be doing. Lead by example, eh? I'm so happy that you found a home for Flaming Crimes. I love the series. I'll miss you as an admin, but we all should know our limits and bow out when we take on too much. You will do fine with the interview. With your experience on uTube, relax. Best wishes. Things changed for me, so it was necessary to steep down. I'll still be around. And I'll help the IWSG when they need it. Thanks, Diane! Many congrats on your contract and new logo. Your posts are always helpful. I've recently started incorporating one of your check lists--are parts thereof--into each new scene. How do paper back vs. e-book sales compare? Just wondering on your experience in marketing both or is it only one format that you choose? Cool logo, Chrys! That would vary from person to person, so yes, I'll answer that based on my preference and experience. Thanks for the question! Stay tuned. I'll share what it's for later. I think it's wonderful that you're stepping out in audio, and Yvonne Mason is a great interviewer! Have fun and don't over prepare! Can a writer make a success of his or her books without social media? I think I already know the answer but I'm curious about whether anyone in this day and age has? I have no idea how to even prepare. LOL! She said she's handle it all. I'm going to listen to her other radio interviews to get a feel for them. You are amazing, Chrys, and juggle so many things. I like how you so bravely try new things. Thanks for doing the newsletter. It's terrific. Congrats on gathering up your courage to create those videos. You have a lot to be nervous about, but kudos to you for jumping in and just doing it!! What program do you use to make your videos? You have a great IWSG day too! I have a lot to be nervous about, eh? Yikes. LOL! I just use the Microsoft video editing software that is automatically on most computers. Congratulations on the contract! My one word is Persevere. 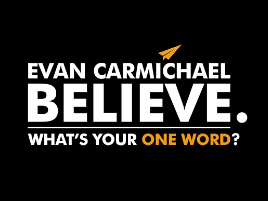 I love your one word! Congrats on the contract! Can't wait to check out that interview. You'll do great! Ok, this took me forever to think of, but here's my question: How do you maintain tension throughout a whole novel? (this came to mind because a beta reader once told me that the tension at the beginning of my story was great but towards the end it was lacking, and so the story wasn't as interesting). Hope that works! Congratulations on the contract! I'm off to see your youtube videos. All the best! Congratulations on signing the contract, Chrys. And that author logo is wonderful and catchy. Will be a stand out. Sorry to hear you're stepping down from the IWSG team, but you're going from strength to strength with your youtube channel. Go girl! Sounds like you've prepared yourself well for the interview. Good luck. I'd be nervous too. 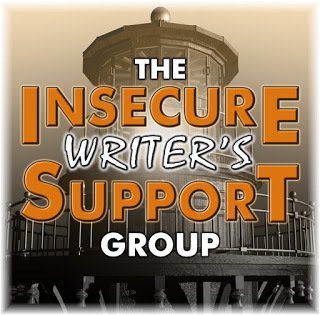 Thanks for all you've done for the IWSG! Best to you as you work on all these projects. I was happy to be a part of the IWSG. I sometimes feel I talk too much in public... But, I have watched two of your videos and you have nothing to be ashamed of, you appear confident. By the way, if you don't have a few butterflies in your stomach before speaking in public, something is wrong! Congratulations on the contract and you designed a good logo. Thanks for sharing your experiences with us all. That logo is cool. So much going on for you. Your talents will be well appreciated. So much to be proud and thankful for, well done you and best wishes with everything going forward. Greetings! Hi, Chris! Your post is just full of sparking energy. Thanks for all you have done as an IWSG administrator and with the newsletter! I'm a member of the bookclub, but I haven't taken the time yet to figure out how it all works. I did read "The Secret Garden" and I have James Scott Bell's book, so I'm working my way into the club. good look with all the positive things that you have happening right now! Congrats on your contract and I just love the logo! I am so impressed with all you have done on youtube. I know you will rock this interview!! Good luck and looking forward to watching it. Sorry to hear you are stepping down but glad you will still be around. Take care! Congrats! I've also set a reminder to watch you YT interview. A for a question (for a future post), what are the advantages/disadvantages of writing under a pseudonym/pen name? Sorry you're no longer an admin, but happy you're still with us via Goodreads.